Ukrainian Championship 2016/17. 3rd round. August 7, 2016. Lviv. Arena Lviv. Att: 1,436. 22 oC. A couple of central defenders were changed from Serhiy Kryvtsov and Ivan Ordets to Yaroslav Rakitskyy and Oleksandr Kucher. Marlos was replaced for Wellington Nem, and Viktor Kovalenko was fielded instead of Dentinho as an attacking spearhead, making the strikers duo with Eduardo. The Pitmen might have opened the scoring already in the 2nd minute. Taison made a pass into the box to Viktor Kovalenko, the latter chested it to Eduardo, but Oleksandriya’s goalkeeper Andriy Novak prevented the Croat from scoring. Shakhtar’s dominance grew with each passing minute, but they managed to convert it only in the 36th minute.Viktor Kovalenko sent a high ball at the far post, where Ismaily sent the ball home with just one touch. The charges of Paulo Fonseca had more chances, but Taras Stepanenko was not lucky to capitalise on the most clear-cut ones after attempting to head it home from close range, as well as Viktor Kovalenko, whose shot was denied by a defender. As for the opponents, in the first half the players of Oleksandriya did not disturb Andriy Pyatov, entering the Pitmen’s half just few times. After the break, the situation on the pitch did not change. 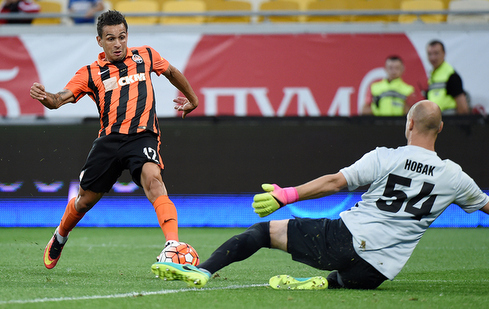 Shakhtar continued to boss it and regularly created danger near the opposing goal. On 55 minutes, Yaroslav Rakitskyy was just inches wide to fire a direct free kick home. Two chances in a short time had Eduardo. In the first case, after a good pass by Darijo Srna, the ball went just over the bar, in the second - he failed to bundle it into an empty net from a tight angle. On 68 minutes, Taison brought Wellington Nem one on one with the Oleksandriya goalkeeper, but the Brazilian was too little space to flick the ball past Andriy Novak. Almost immediately after that, Taison could have distinguished himself, but his shot was parried away by the keeper. 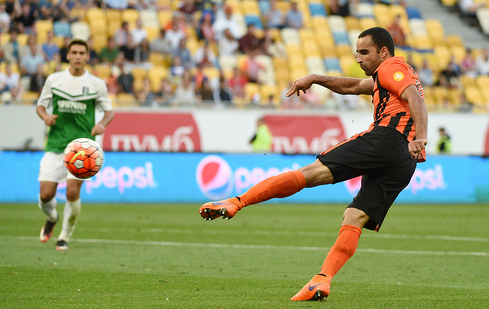 On 74 minutes, Eduardo was replaced by Andriy Totovytskyi, who made his debut for Shakhtar. Before the final whistle, despite all attempts of the Pitmen, the numbers on the scoreboard did not change. 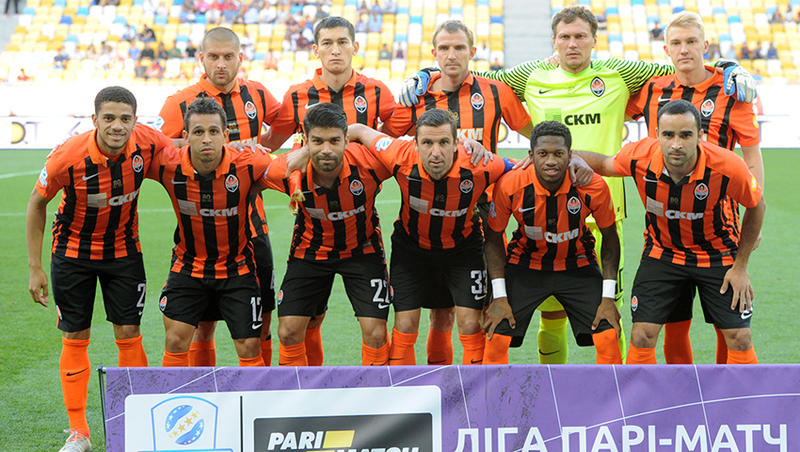 On August 12, Shakhtar will play a Ukrainian League away game against Karpaty. The game will take place in Lviv, at the Arena Lviv.